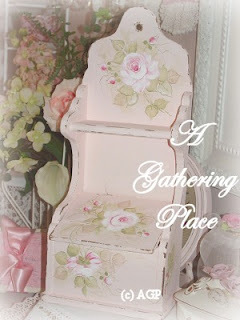 ~WHAT PAINT IS BEST FOR COTTAGE FINDS and Other Vintage Treasures? 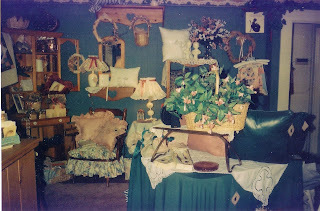 I started selling my wares on eBay in late 2002 and offered up my first hand painted item early that next year. 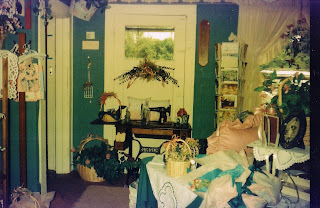 Although I primarily sold hand-sewn pretties in the beginning, I found myself growing a bit tired of only offering things made of fabric. 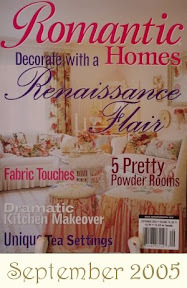 The thought of including hand painted finds was very exciting to me... So~ that is what I did. I learned to paint! The first few things I painted for sale were simply dreadful. THEY WERE! I'm not showing you the photos of the first keepsake box I painted because it was honestly that bad... What I have learned since that day I didn't get out of a book. Instead I figured things out through trial and error and to spare you wasted hours and heartache I'm going to share with you some of what I've learned. 1. Be it wood or metal, PRIME FIRST! I've shared this with you before and I can't stress to you enough how important it is to NOT skip this step. I use ZINSSER PRIMER for all things wood because it is the best at blocking old stains and those colors from China that ALWAYS bleed through. Nothing blocks everything, but this brand is the BEST I've found! If you are painting metal, use a metal primer from Krylon or something comparable (like Rustoleum). 2. When painting wood you have the option after priming to either use a flat paint or a satin paint. If you opt to brush paint (which I love! ), almost any Behr Paint is good (Home Depot) or Valspar (Lowe's). I use Interior Paint as almost everything I paint is for the inside. But...you can use exterior...it's up to you. I personally use Satin. I like it better and it has a very soft sheen. Flat absorbs my decorative paint far too quickly for my liking~ When I use satin paint I lightly sand with an extra fine sandpaper. This helps prepare my item for decorative painting. 4. I use sponge brushes! Again, I've shared this before and sorry for the repeat to those of you who have heard me say this over and over! They are cheap, give a good coating with less brush marks and when you are finished (or it gets gunky), toss it out and grab a new one. They come in lots of sizes! I like Lowe's Sponge Brushes better than Home Depot's...they are not made by the same manufacturers! 5. Craft Paint is pretty much to your liking. 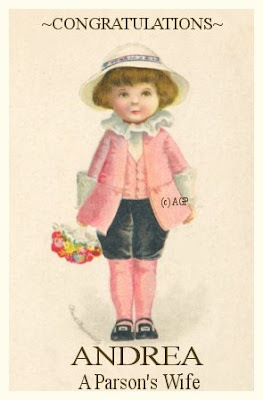 I use several brands but my favorite is Folk Art. I love how it blends and I love being able to custom mix/blend my favorite shades. I do not use white craft paint or other craft paints to base coat my items. I was never happy with how it covered so now I only use paint with the latex additive. 7. Clear coat! I use Polycrylic non-gloss sealer. If even a satin sealer offers up a bit too much shine I use a LIGHT dusting of spray sealer (Krylon). Spray sealers will change the color of most brush paint!!! Remember though...nearly all the sealers out there will YELLOW! To this day I haven't found one that doesn't! Do not use VARNISH... If you are afraid that your newly painted pretty might turn color...skip the sealer and just use wax. 8. 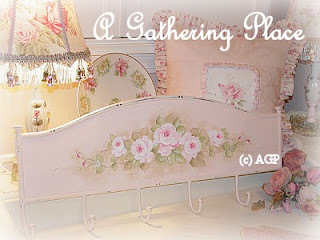 One other option for painting your pretties is to use a paint gun. When I have lots and lots of pieces to paint this is the option I use. However, using a spray/paint gun is a huge mess and the clean-up is rarely worth the results. I still love brush painting best! Hope you enjoying the information about painting! Now...go out and get your favorite paint and get started! 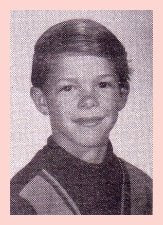 In December of 1968 I turned the magical age of ten and found myself firmly planted in the 5th grade. On a daily basis I was under the watchful eye of an attractive black woman who earlier that summer had been chosen to be my teacher. She was tall, sported dark wavy hair and even on the sunniest of days could be seen in a lightweight wool coat and patent leather shoes. She was an awesome story teller, loved savoring butterscotch candy, and before the passing of another year of innocence she would successfully point my feet in the right direction. I fully understood during fifth grade that I wasn’t one of the “it girls”. It was also the year I realized that money was powerful and that some of my classmates had a lot of it and some… well, like me, did not. During the months of fifth grade I came to believe my gaped teeth made me ugly (notice the closed-mouth smile) and my mousy brown hair would certainly have looked a little more desirable had it been blond. It was during that fifth year at Bixby I was to learn that no matter how hard I tried I was never going to beat Sally Jewel at Tether-Ball (she was a bruiser of a girl so I figured it was OK) and the year I discovered I was truly terrible at mathematics. It was the year I learned I “kinda” loved English, was dreadful at Geography, fairly good in Spelling and the year my heart embraced anything and everything that had to do ART. Be it drawing, painting, gluing, glittering, papier-mâché or pottery, I was in for the long haul. 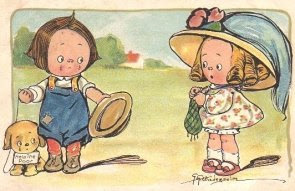 And thanks to the film about…um…well…you know…I learned (frighteningly so) I wouldn’t always be a LITTLE girl…. It was also the year I learned that teachers can cry. I cannot say just why I stayed inside during my recess on that early spring afternoon, my memory isn’t that good. What I do remember is witnessing the teacher I had grown to love and admire as she sat quietly behind her desk dabbing away the tears that rolled down her cheeks. I couldn’t resist the urge to focus my eyes upon her as truthfully I’d never seen a teacher really cry. She was deeply troubled by what I clearly understood as being something “grown-up” and I knew better than to disturb her. The seconds ticked by as I tried to complete my assignments…I didn’t dare look up again for I feared she would find me staring at her and that would be uncomfortable for both of us. Several minutes passed before I felt her presence standing next to my tiny chair. 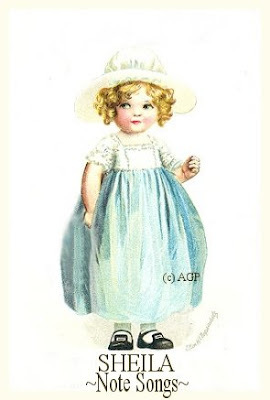 “Becky” she said, quietly kneeling down beside me. With that, she stood up and walked back to her desk. 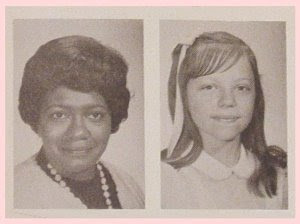 We were never to speak about her tears or her instruction, and I never again saw Mrs. Ferguson cry. My final memory is of her standing tall in her dark colored jacket as I snapped her picture for my photo album. 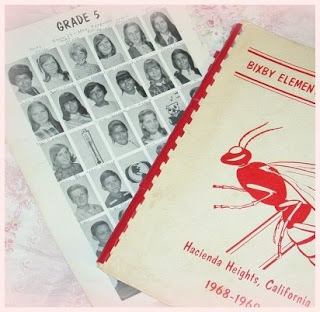 It would be the last day I was to ever sit inside a classroom at Bixby Elementary School. It would be the very last time I would ever see the face of the woman who would forever remain my favorite teacher and the one who helped change the course of so much of my life. 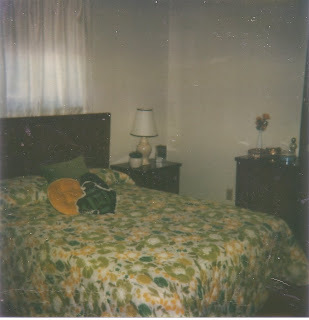 Years would fly by before I would recall again the pocket-sized memory I had so neatly tucked away. 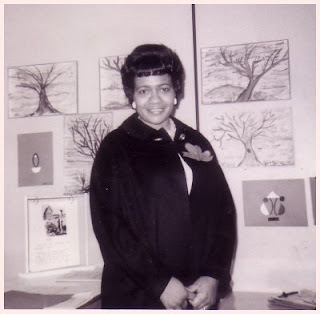 I was never to know the reason for Mrs. Ferguson’s sadness or the source of her tears. I suspect it had something to do with some sort of racial discord, but I can’t be sure. What I understood then and know to be true even today is that through her own sadness and sufferings she didn’t hesitate to offer up the needed encouragement and acceptance to a small girl wandering aimlessly in a garden that rarely bloomed. Back then I loved everything GREEN! Betcha can't tell, huh? 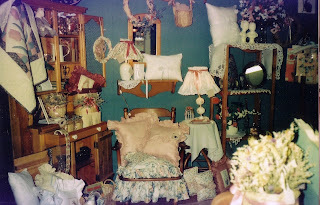 I offered up lots and lots of handmade pillows and wooden shelves (remember all those HEARTS?) made by my Mr. AGPMan! 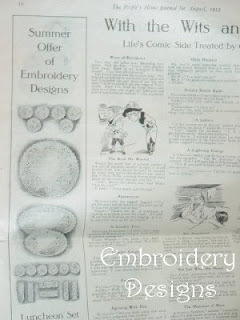 Some of the same cross stitch patterns I used all those years ago I still use today! I just don't use the same colors....(thankfully!). I'm still LOVIN' those pink pillows...Yum! Even back then my guy did LOTS of stuff for me! 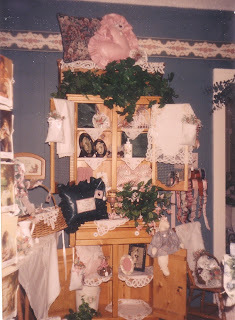 He made almost all of my display pieces and all the cabinets and shelves I sold. How he did this when he worked full-time is beyond me! 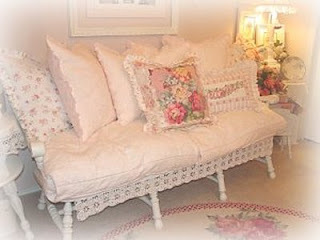 This precious rocking chair was soooo darling that I cried when it sold. Needed the money more than I needed the chair! 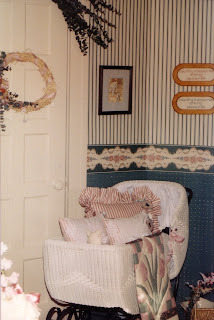 I found this beautiful old baby carriage (Wakefield) at a Goodwill Store and paid $45 for it in 1987. In 2000 I sold it for $500...good investment but I was sad to see it go! 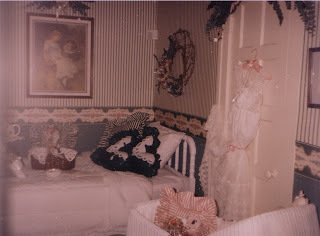 I loved this frothy white bed topped with the Laura Ashley lace-trimmed comforter! The ensemble didn't last long! It all sold the weekend I put it in the Shoppe! I truly never dreamed I'd actually use a vintage sewing machine (or two) in my home as a nightstand! The one above I sold for over $300! Now you know why finding the two I have today for only around $20 each was such a find! 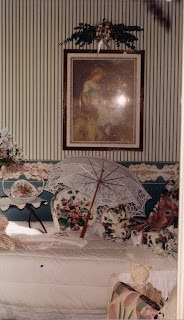 I still have one of these parasols! I have it on top of an old wardrobe and it looks charming! I'm soooo thankful I got rid of all that green! 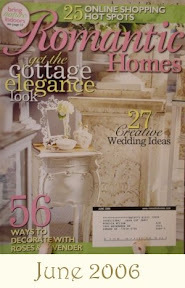 My love for romantic country decorating evolved into the cottage look I love so much today! 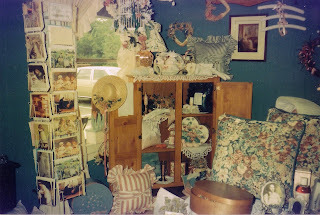 A few years after leaving "The Colonies" I went on to own a pretty brick and mortar store of my own... 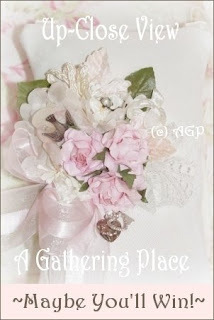 The things I learned during those early days of business still help me today with my on-line shop and my eBay sales under the name A Gathering Place! Hope you enjoyed another look into my past...much more to share with you in the future! 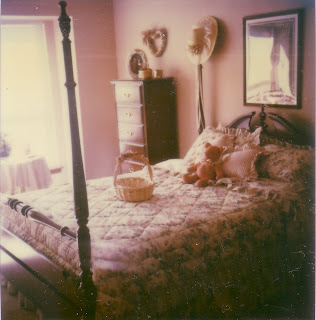 I've been working non-stop of late in the refurbishing of my thoroughly romantic bedroom and little by little my little boudoir is coming together. It been an exciting transformation and hopefully by summer's end it will be completely finished. The room is not very large but it never ceases to amaze me just how long some projects take...I honestly thought I'd be done by now! I'm soooo impatient! Betcha didn't know that about me, huh? Can you say (and loudly) WHAT WERE YOU THINKING? Can you say YOU ARE STILL MISSING THE MARK? 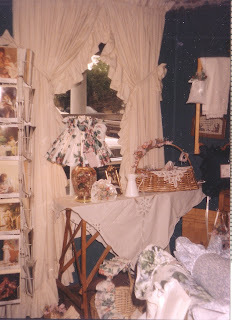 This little ensemble was purchased at J.C. Penny in 1992 and I actually used it for several years. 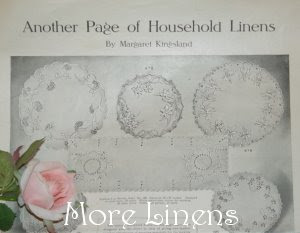 The print had a cream ground with loads of pink roses and ribbons and only a teeny tiny touch of pale blue. 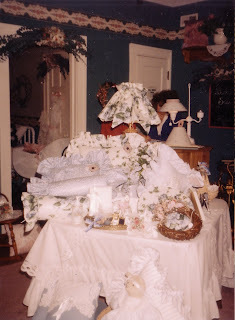 When we moved into the home live into today I continued to use this pretty bedding until the threads became thin and worn. I routinely see entire sets of it offered up in thrift stores around town...it's dated, but when I see it I can't help but smile. Would never choose it today but for the early 90's it was charming! 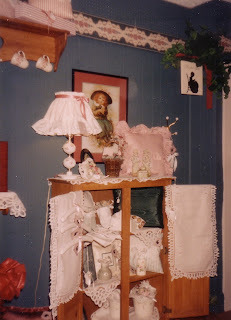 Now...since I don't have MY room finished yet I thought I would show you a snapshot of the bedroom that belonged to my daughter, Adrienne. 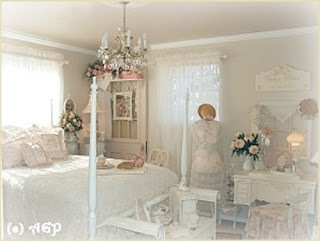 This room was included in the Romantic Homes photo shoot of our home which was done back in 2006. 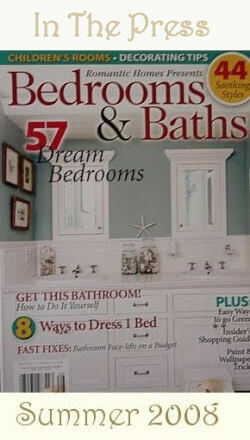 The same room was also feature last summer in RH's Bedrooms & Baths Magazine (Summer 2008). 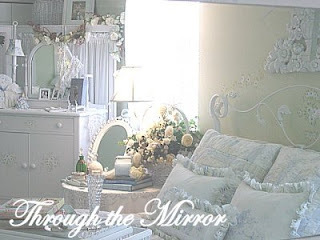 I hope for those of you who are just starting out with your decor and are afraid of MESSING UP that you will be INSPIRED by the pictures above! They SHOULD PROVE to you that YOU CAN DO IT, TOO! I hope they all put a smile on your face and HOPE in your heart! 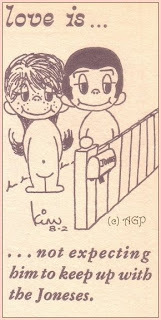 It's Wednesday and time for another one of my very favorite "Love Is..." posts! I've been MIA a little bit this week! So much going on in my life over the last several days that I just had to take some time off! I've missed you though and I'm glad to be back! "Why can't we have that?" I made a promise to God during those difficult months of 1996. I asked Him to help us save our home and in return I would never question again why my blessings were what they were. 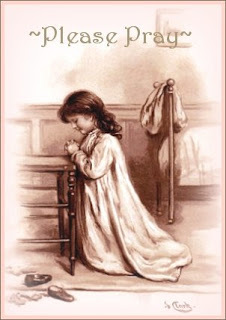 I prayed to gratefully accept His gifts and be thankful for them. Goodness! I had a lot of names to put into the hat for the HANGING SACHET GIVE-A-WAY! It was all so exciting and I plan on offering up another FREEBIE very soon! Thank you so much to all of you who participated in my BLOG GIVE-A-WAY! It was truly a BLAST for me and I loved reading all your comments!!! Congratulations to ANDREA! 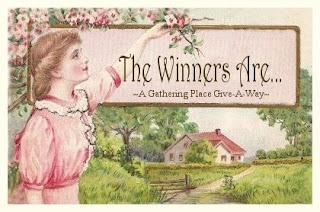 Thank you so much for your comments and for entering the FREE DRAWING here at A Gathering Place's A GATHERING of THOUGHTS! Getting to know you has been so much fun! I'm happy for you! If you were paying attention and REALLY READ the entire Post on Friday then you knew I was going to be drawing a SECOND NAME for another SWEET PRIZE! Thank you so much, Sheila! Another sweet Blog that is worthy of following along! I'm also very happy for you! I hope you will love the Pillow! Congratulations! To both Andrea and Sheila, please forward me your mailing address so I can get these pretties off to you this week! Now...get to typing! Do you hear me???? I'm going to draw for a SECRET Second Prize, too! You know you want to...sooooo GO FOR IT! Don't be shy or feel like you're being a piggy if you comment more than once! It's all in fun and I LOVE giving things away. It makes me feel GOOD! 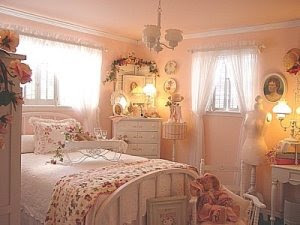 I promised to show you some pictures of parts of my home and I thought it would be fun to show you what our little guestroom looked like about five years ago. 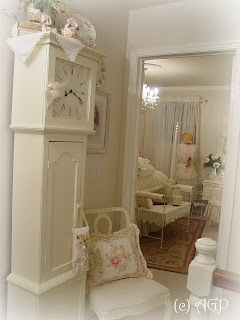 Back then the walls were painted a soft sugar pink with the furniture a fresh, crisp white. 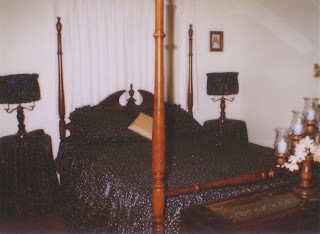 The vintage metal bed was from the 1940's and even though it was charming I longed to find something different. flipped the desk to the other side of the room! I love it much more this way! The vintage Tell City Bench below is now under the window which provides wonderful lighting when I curl up with my favorite weekly read! 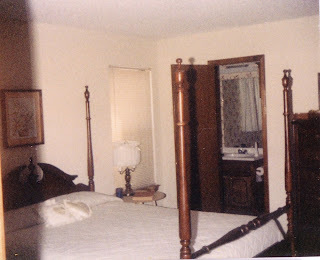 You'll notice some of the things in the Sitting Room pictures have been moved into the Guest Room! I told you I move things around!!! I PROMISE before Summer's End I will show you more pictures of my home! Currently we are working on our space-challenged Master Bedroom! 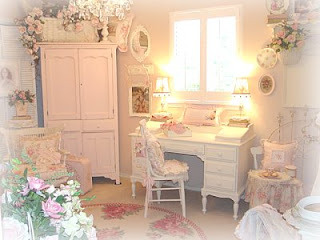 That's the room I gave you a sneak-peak of a few days ago! One day last week I visited our local bookseller. If possible I would spend an entire day there wandering through the perfectly aligned rows of beautifully illustrated, well written books. Since I'm not afforded that much idle time I choose instead to visit the store about once every couple of weeks...more if I'm seeking out something special. I love to sit in their comfy chairs and prop my feet up on one of their cushy footstools while relaxing the minutes (if not hours) away! Books comfort me...being around them just makes me feel good...maybe even a tad bit smarter! More often than not I grab myself a cup of Cappuccino before paying for my latest good read and then drive back towards the sanctuary of both hearth and home. This is a sweet part of my life! My good, happy, contented, wonderful LIFE and truthfully~I sorta love it! "PLEASE HELP - Will Work For Food - God Bless"
"Gosh~ Another beggar man!!??? They are everywhere these days! Get a job and quit expecting me to hand over my hard-earned money to you so you can go and drink it away!" The spirit of God tugged a bit at my heart that afternoon as I patiently waited (begged) for the red light to change to green. I was languishing in my air-conditioned, late model SUV, suffering in silence when I found myself begin to slowly turn my head in his direction. "No, I can't! Not again! Turn GREEN, Light!" For whatever it is worth I felt terribly guilty during the entire fifteen minute drive back to my home. My shame didn't come from keeping the few dollars safely hidden within my pocket. No...it came from the attitude I'd formed long before I even turned my car onto the busy street...the unspoken words that said "I'm better than you! More of a success! While you beg...I work!" I heard it said once that servanthood requires little skill and certainly no degree. Regardless of our gifts, strengths, training or church attendance, we all can love the lost. "Whenever you did one of these things to someone overlooked or ignored, that was me~you did it to me". (Matthew 25-40-MSG). 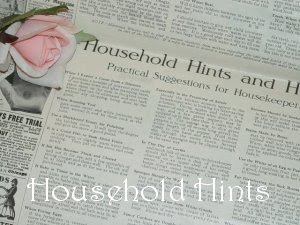 For those of you who are new to my Blog you will find that on Wednesdays I share my old "LOVE IS..." clippings. When I was dating my hubby of many years he would routinely cut from the newspaper the latest drawing by Kim Grove and tuck it inside his love letters to me. I lovingly saved them all these years... The 'cartoons' (which my son thinks looks like his father and I in the late 70's) offer up a wide range of topics and are as relevant today as they were 30 years ago. This little clippy is especially meaningful to me given the news of our brother-in-law's health issues (see the middle column of my Blog). How grateful and thankful I am to have had someone in my life to share my daily experiences with. My Mr.AGPMan has always been one to help shoulder my pain, carry my burden or measure my loss. 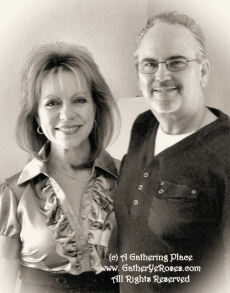 He's always been there to "dress the wounds of a trying day and I can count on him to help camouflage the scars..."
When sorrow or tragedy makes a visit to your home (and sadly it always does), may you always know firsthand the love of a faithful friend...in my life it's made all the difference. "IF I HAD TO LIVE MY LIFE OVER AGAIN"
or Allow It To Melt In Storage? Yesterday morning I came across a file I had saved several years ago on my computer. The document was simply named "Erma". Since I don't KNOW any "Erma's" I decided to open it up to see just what it was I'd tucked inside. To my surprise it was a gently penned lament made by the well known humorist/writer Ms. Erma Bombeck. Written after she discovered her life would soon end, she wrote with heartfelt abandon about the changes she would make if given another chance to live out her life. I'm so excited to offer to my sweet, wonderful, faithful followers another FREE DRAWING and/or GIVE-A-WAY from A GATHERING PLACE! It's easy to enter...very easy! Just leave a comment :) :) (or two or three!) 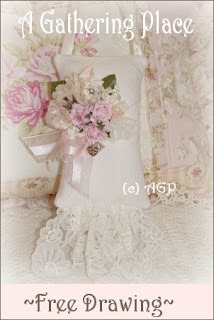 and you will be automatically entered in a FREE DRAWING for the ROMANTIC HANGING SACHET shown above! Enter as often as you like until 5:00pm on the date of the Drawing (below). 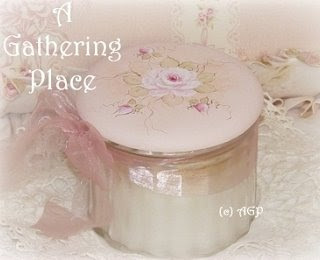 The Sachet is filled to the brim with 100% pure lavender buds and smells divine! Made with both new and vintage finds...lots of new and old millinery flowers, vintage ribbon, vintage laces and even some pretty silver charms. 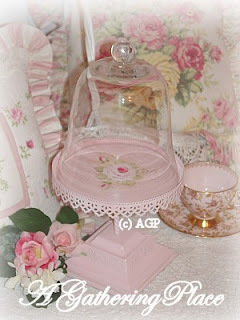 The Sachet is just waiting for a new home...maybe it will be yours? It's value is about $50! This afternoon I received a phone call from my youngest sister, Jen, sharing with me the news that our brother-in-law suffered a stroke early this morning. Greg is the husband of my older sister, Linda, and he is not quite 52 years old. Greg is a wonderful Christian husband and father and has been a beacon of strength for my sister for almost 30 years. He serves faithfully as Worship Leader in a church outside of Nashville and is dearly loved by many. At this time I only have a little bit of news... I know at present there are some physical problems associated with those who have experienced a stroke. Greg is currently undergoing an MRI that will hopefully tell us more...we are waiting for the results. 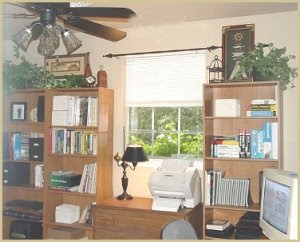 While reorganizing some things in my home this week (that's what I do when my Mr. AGPMan is away...clean and organize things!) 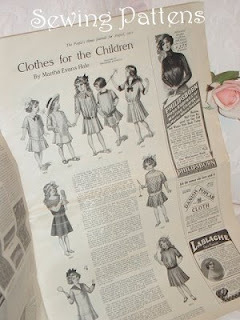 I ran across this fabulous "The People's Home Journal" from 1912. 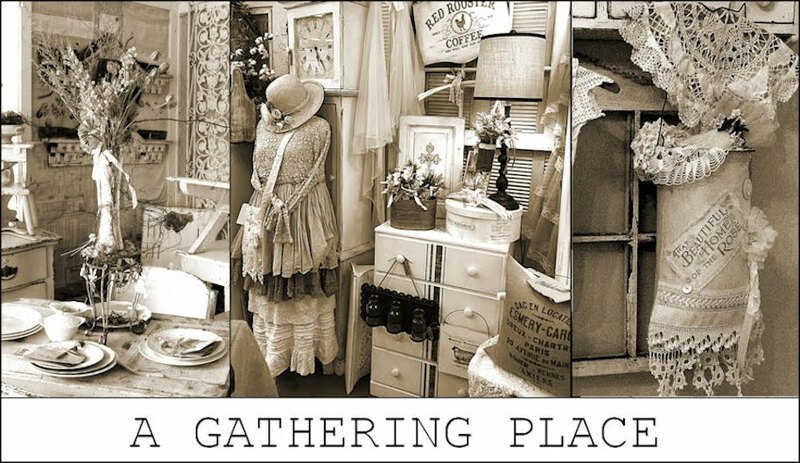 Several years ago while on our way to Texas my girl and I visited a charming Antique Mall in Ardmore, Oklahoma. 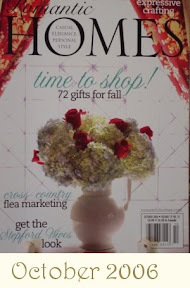 It was during that buying trip I was to find, nestled safely within a vintage display case, the lovely, but aging magazine. But the asking price...it was $75!!! I continued to look around the shoppe and even moseyed next door to see if the neighboring store had anything of interest. 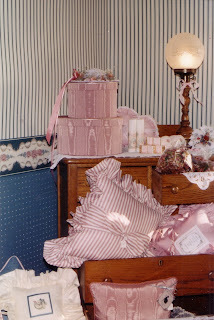 I recall it being a fabulous day and I came away with lots of treasures~ vintage ribbons in soft pink and mint, old millinery roses, vintage hats and a charming slated picnic basket (that I later learned was actually a "pie basket"). A great haul for one store! 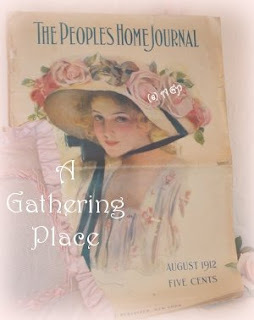 I smiled back and agreed the lady staring back at us from the Journal's cover was beautiful and the magazine looked truly inviting...and~ THAT ROSE-FILLED-HAT! 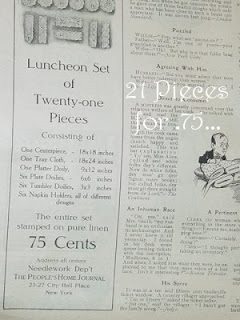 But $75? How could I spend that much money on something like that? 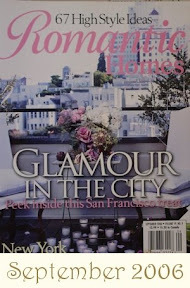 After a long sigh I closed the magazine and carefully pushed it toward the sales lady saying a quick "thank you!" My girl's eyes focused on me in disbelief! "Mom!" she continued! "You're not going to buy it? 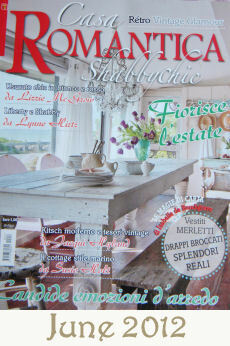 The cover would be wonderful framed!" I called back to my girl as she was writing a check for some vintage jewelry she was purchasing (she makes GORGEOUS things from it by the way!) saying I was going to start the car and cool it down...so, off I went. We headed back to the highway that would take us southbound to Texas. We made several more stops and even grabbed some great Tex-Mex food before finally making it to our Dallas hotel room later that evening. I waited for my daughter to emerge from her shower and began unpacking my luggage for the three day visit to one of my favorite Texas towns. We had a great deal of shopping to do and lots of mother-daughter time to enjoy! 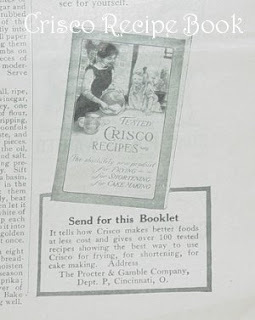 The original Journal is nearing her 100th birthday and so I have her safely tucked away in archival plastic and will one day return her to my daughter to pass down to the other women in our family. Since my guy works as an Analyst for the largest document company in the USA he has made me several fabulous copies of the cover and I lovingly display one of those in my little office. Today I scanned the cover and plan on offering some pretty pillows showcasing the artwork of this amazingly talented artist (I'm having trouble making out the name...it is NOT Fisher!). Sometime before Christmas I plan on offering some of the prints on my website.